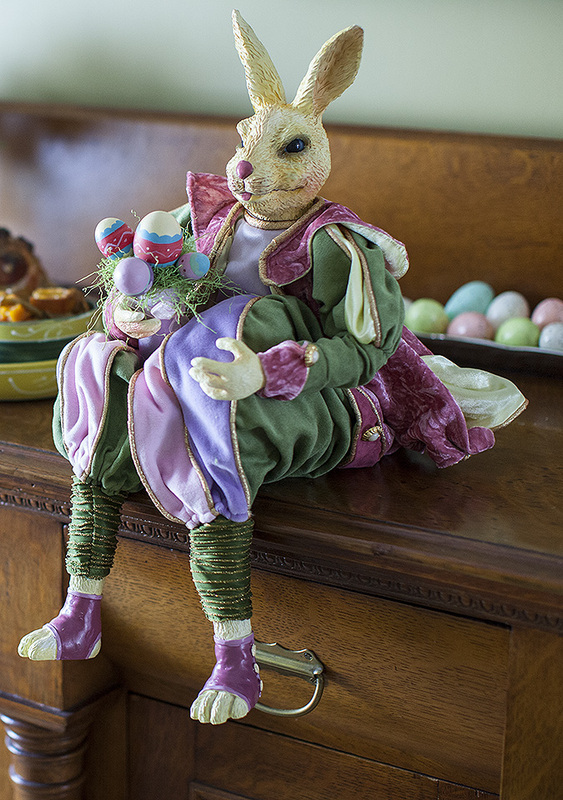 I can’t believe it’s almost Easter. I’m sure Christmas was just last week and yet the piles of smoked ham in all of the grocery stores convince me the bunny’s on his way. Growing up, Easter ham was my least favourite holiday meat. It wasn’t until I cooked my first ham that I understood why. As a disclaimer, I adored both of my grandmother’s cooking. However, their cooking technique for ham destroyed every drop of taste and texture. It was like chewing on a salty bit of tire tread. First, they would boil the ham to get rid of the salt. After a good long spell on top of the stove, the ham was then placed in a roasting pan and popped into the oven for a few hours. The result was god awful! When I think back on it, both grandmothers always served roast turkey along with their hams. They insisted that they didn’t want to run out of meat. They definitely never ran out of ham. I was twenty-one the first time I served roast ham. I was a nervous wreck. I’d researched it to death and no where could I find my grandmother’s long double whammy ham cooking time. The closest that I could find was a long simmer followed by a short time in the oven just to caramelize the glaze. I put my faith into the culinary gods and prayed for the best. Long story short, I’ve loved roast ham ever since. I never boil my ham. It goes straight into the oven and the result is the same every time; succulent, slightly salty, moist ham. Ham’s saltiness lends itself perfectly to a sweet fruity glaze. Over the years, I’ve used brown sugar, maple syrup, honey and molasses and loved them all. This year I tried dulce de leche, cut with a sharp grainy mustard and pear cider. It’s a gorgeous combination. In a small bowl, whisk the dulce de leche with the mustard, garlic and cayenne pepper. Whisk in 1/4 cup of the cider. If your ham is encased in a netting, remove it. Remove the tough skin from the ham with a sharp knife, leaving a 1/4 inch thick layer of fat. Score the fat in a shallow criss-cross pattern making sure not to cut into the meat. 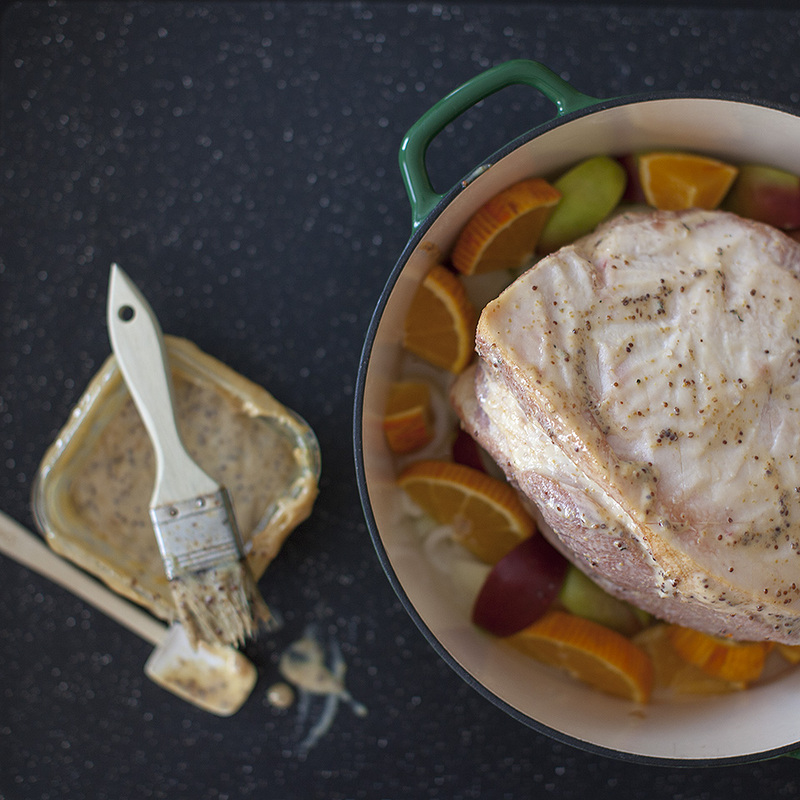 Sprinkle the onion slices, orange slices and apple wedges into a large roasting pan. Pour the remaining cider over top. Set the ham on top of the onion mixture. Cover the ham loosely with parchment paper, then cover the roasting pan with foil. Roast the ham for 1 hour. Remove the foil and parchment, brush the ham with 1/4 cup of the dulce de leche glaze. Roast the ham for 1 hour longer, re-glazing every 15 minutes. Increase oven to 425*F and roast an additional 30 minutes, until glaze is deep golden or darker, if your prefer. DON’T BURN IT. Remove ham from oven and transfer to a cutting board to rest for at least 15 minutes. Pour the fruit and pan drippings into a small saucepan and skim off as much of the fat as possible. Keep warm to serve with your carved ham. 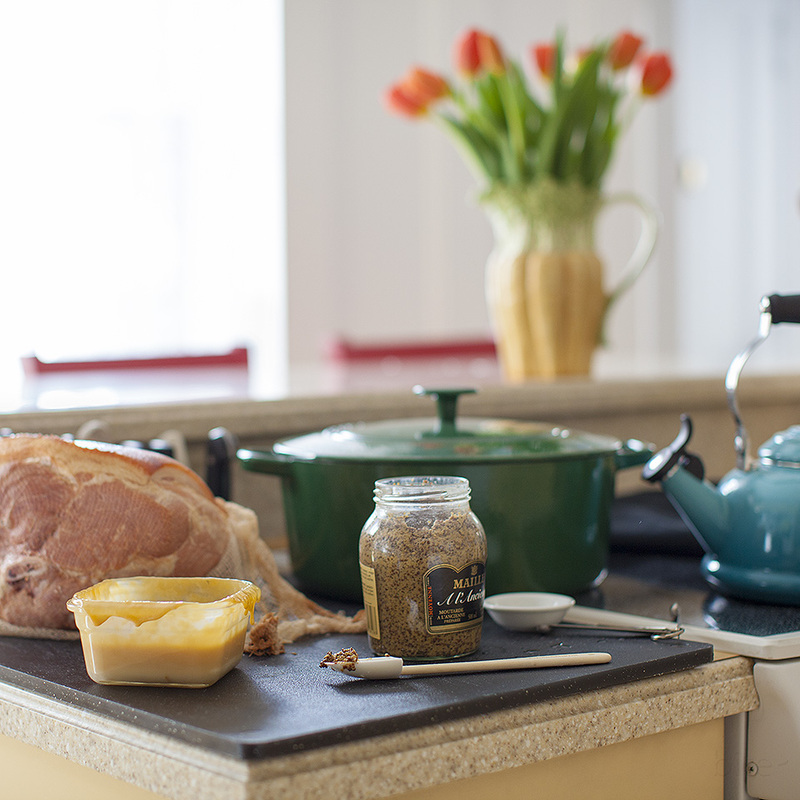 THE LOVE: Make sure that you watch your EASTER HAM closely after you increase the oven temperature to 425*F. It’s done when your glaze looks perfect to you! Spicey Char-Crusted Beef…cheap and deelish! This entry was posted in meat and tagged Easter, ham, holiday entertaining, meat by Michelle. Bookmark the permalink. I HAVE to try this glaze! Oh my word, sounds delish! I hope you do – it really is yummy!